How to Get a Tourist visa to France | Go For Visa | Australia Immigration Consultant & Visa Experts in India. The first and foremost step is to identify whether you belongs to citizen of nation which demands Schengen visa to France. 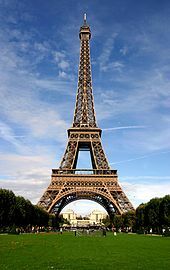 Visa to France is waived for citizens of nations including Venezuela, Nicarag, Monaco, Mexico, Malaysia, Japan, Israel, Honduras, Holy See, Guatemala, El Salvador, Croatia, Costa Rica, Chile, Canada, Brunei, Brazil, Bermuda, Australia, Argentina and Andorra. Citizens of countries apart from mentioned above have to apply Schengen visa for their short stay in France. If you are planning to apply for Schengen visa, then figure out nearest Consulate General of France by doing some detail research on official website of French Ministry of Foreign Affairs. Once you figured out the nearest location of French consulate, you have to schedule an interview with him. All the application proceedings of Schengen visa has to be completed in person, as finger-printing is one of the mandatory things during entire process. Non-U.S. Citizens who are applying inside US for Schengen visa, the documents they have to submit include - proof of round trip air or train ticket, completed Schengen application, passport with validity for at least three months, proof of U.S visa or green card and one passport-size photo graph. If you wish to obtain some more information on Shcengen visa, then it is better to seek advice from recognized online expert like www.goforvisa.com. Authorized Visa Agents such as ‘Go For Visa’ can definitely provide you proper guidance on tourist as well as business visa to France. In case you have any further doubts, don’t hesitate to get in touch with us at info@goforvisa.com.